"Watcher Think?" is GameWatcher's series of unscored mini-reviews for those who want to save time in a bottle. This time Chris Capel reviews The Silent Age, an adventure in his favourite genre: iOS port. It's 1972 and Joe is a janitor at Archon, a research company with a Defense Department contract and a lot of secrets. Joe's crappy day cleaning out wastebaskets gets worse when he discovers an old man dying of a gunshot wound raving about an apocalyptic future, then he gets arrested for the man's murder. After pressing a button the man gave him Joe discovers that it's all true, and the button sends him between 1972 and the desolate far future of 2012. Now Joe has to escape the police station, find the old man's younger self, and prevent the apocalypse. All in a day's work for a janitor. 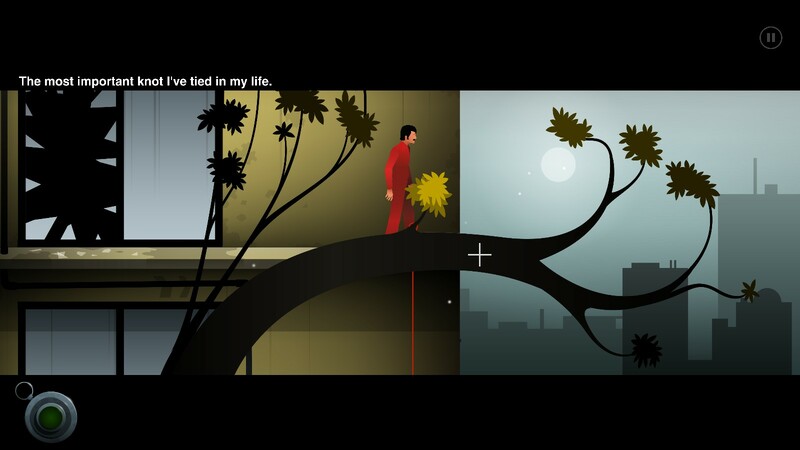 The Silent Age is a 2D adventure game, it's not silent, and it's also an iOS port. 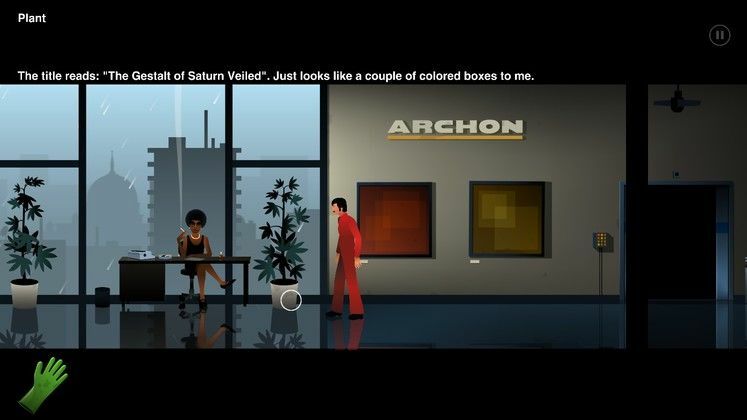 Normally I'd shrug and go "s'alright, works better on mobiles" and move on to my next game, but there's nothing that makes developer House On Fire's adventure feel like an iOS port. If I didn't know that I'd never have guessed. It's basically just a straight adventure game, albeit a fairly short one that's divided into quick chapters you can't move between. What you can move between instantly though is time periods, and it's done very well and very smartly. You really need to think 4 dimensionally if you want to succeed, even if that does often just equate to "pick up item in the future to use in the past". A nice simple start to a time travelling adventure. It's all rather simple once you've got mastery over time travel, although there are some real thinking-outside-the-box moments that were really satisfying to solve, like one involving an overgrown poison ivy bush that's almost a reference to Day of the Tentacle (which I highly suspect it is, given that game's similar twisted time travel tale and the appearance of a chainsaw without gasoline later on). What's more annoying is the things you can't do. Items disappear immediately after one use despite occasionally being needed a minute later, like a crowbar or oil, and I'm not sure why you can't leave certain areas - for example when Joe ends up in front of the police station you're forced to hang around rather than just cross the street and run for it. 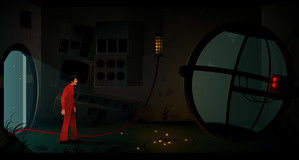 At it's core The Silent Age is a simple adventure game that experienced gamers will probably breeze through, but the clever use of time travel forces the player to think in two different time periods at once and so it's never less than satisfying to solve the puzzles on offer. The story is also interesting with neat moments of humour to counter the pretty grim goings-on, and Joe makes a likeable protagonist. It's not an adventure that'll last you ages (I took just under two hours to finish it) but you'll almost certainly enjoy it while it lasts. Recommended, then.